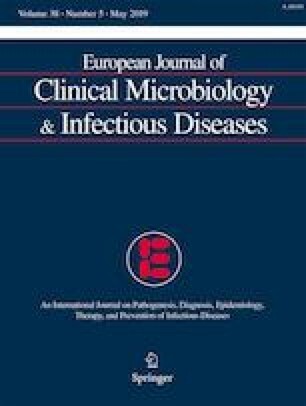 Extended-spectrum β-lactamase-producing Enterobacteriales (ESBL-PE) are often associated with inappropriate empirical therapy (IAT). The aim of this study was to investigate whether IAT of acute pyelonephritis (APN) caused by ESBL-PE is related to adverse outcomes. A retrospective cohort study was performed at a tertiary-care hospital from 2014 through 2016. Patients who had APN caused by ESBL-PE and were definitely treated with appropriate antibiotics for at least 7 days were enrolled. IAT was defined as when inappropriate empirical antibiotics were given 48 h or longer after initial diagnosis of APN. Primary endpoint was treatment failure defined as clinical and/or microbiologic failure. Secondary endpoints were length of hospital stay and recurrence of APN. Propensity score matching was used to adjust heterogeneity of each group. Among 175 eligible cases, 59 patients received IAT and 116 patients received appropriate empirical antimicrobial therapy (AT). Treatment failure was observed in five (8.4%) patients and nine (7.8%) patients in each group, respectively. After matching, the treatment failure rate was similar between both groups (adjusted odd ratio [aOR] 1.05; 95% confidence index [CI] 0.26–4.15). The length of hospital stay (median 11 days in the IAT group versus 11 days in the AT group; P = 0.717) and absence of recurrence within 2 months (90.3% in IAT and 86.7% in AT; P = 0.642) were also similar. IAT did not adversely affect the clinical outcome. In this regard, clinicians should be more cautious about indiscriminate prescription of broad-spectrum antibiotics such as carbapenem empirically for treatment of APN possibly caused by ESBL-PE. The online version of this article ( https://doi.org/10.1007/s10096-019-03528-9) contains supplementary material, which is available to authorized users. The study was approved by the local ethical research committee (IRB number: 2018–05-089).